© Kathy Jakobsen, from the beautiful book This Land is Your Land. ORDER IT! I would guess that just about everyone realizes that the title of our Highway 99 books is a line from the Woody Guthrie song This Land is Your Land, that perennial sing-a-long favorite. What you might not know is that this song originally was called "God Blessed America for Me",with this phrase used in place of the familiar refrain, “This land was made for you and me,” the chorus that several generations of school children have sung out so enthusiastically. No matter. Woody was a freewheeling fellow who changed his song lyrics as his mood would have it. 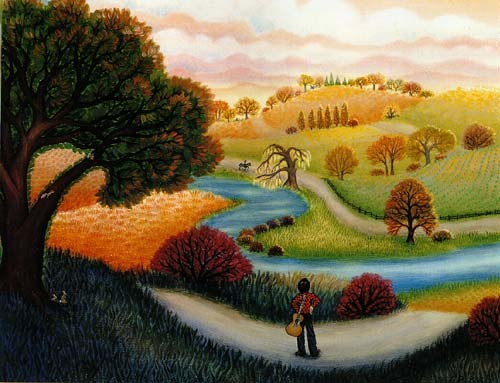 Besides being a most patriotic song, This Land is Your Land also embraces the glories of the open road, with its vast and varied countryside. Thus our book titles. When you think of Woody you probably think of the Great Depression that gripped our country in the 1930s, and the Dust Bowl that layered on yet another burden of hardship and misery for the small farmers of Oklahoma, Kansas, Tennessee, and Georgia. Many of the desperate “loaded their jalopies and piled their families in,” as Woody wrote in So Long, It’s Been Good to Know You. 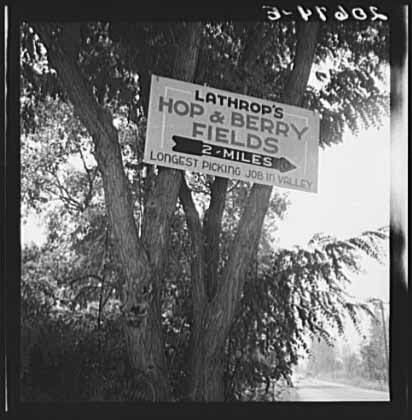 They headed out west on Route 66 with hopes of working on farms and in orchards. If the entire family worked, they might be able to get by. On reaching California, a turn south on Highway 99 would take the workers down to the farms in the Imperial Valley. A turn north led them to the fertile San Joaquin and Sacramento Valleys, or all the way to the Willamette Valley in Oregon. I’m sure they traveled that highway much more than they wished they’d had to, burning up precious gasoline looking for work. The emigrants did their best to make a life and a home in tents or shantytowns, or if they were lucky in a government camp. The Weedpatch Camp is mentioned in John Steinbeck’s Grapes of Wrath. 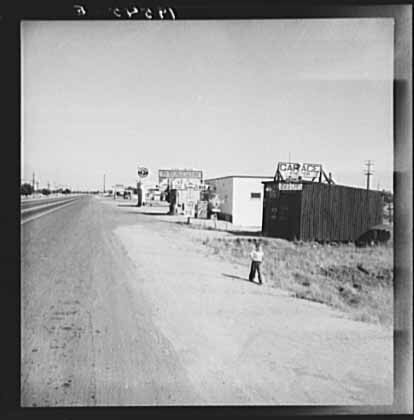 It is still there today, just south of Bakersfield, and still housing migrant workers. You can see it not far off the old routing of US99, or learn all about it here . Pastures of Plenty is another of my favorite Woody songs that nearly brings a tear to my eye. These two songs are among the most well known, but Woody was an extremely productive song writer. He wrote hundreds of them with topics as diverse as outlaws, ship wrecks, unions, World War II, Jesus Christ, power dams and (believe it or not) venereal disease! Woody was born (in 1912) and raised in Okemah, Oklahoma, a farm and ranch town turned oil boomtown. But the people there have mixed feelings about him. Woodrow Wilson Guthrie learned to play guitar, fiddle, harmonica and mandolin as a youngster. He left home while still a teenager after a series of family tragedies. A colorful life on the road, hitchhiking and riding freights with hobos and refugees, provided ample fodder for his prolific writings and drawings. 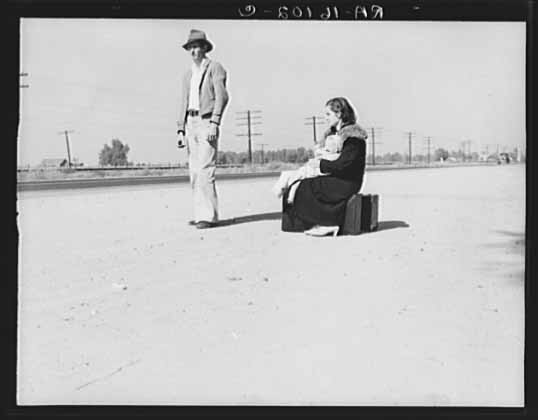 He showed up in California as part of the mass migration of displaced farmers and workers (”Okies”) fleeing the Dust Bowl. These migrants arrived full of hope and with a willingness to work but were met with scorn and derision. This was one of the situations that helped radicalize Woody. His affiliation with Socialists and Communists in the ensuing years may be the reason Woody has not been universally embraced. Nevertheless, Okemah now is host to a yearly Woody Guthrie Folk Music Festival each July. And Woody recently was given (posthumously) a Lifetime Achievement Award (a “Grammy”) by the Recording Academy. He died at the age of 55 from complications of Huntington’s disease, a condition with which his mother was also afflicted. Woody played and sang his heart at in many different places: live over network radio stations, at union meetings, at migrant camps, even making recordings for the Library of Congress. Another of his gigs was writing and recording songs for the Bonneville Power Authority to glorify the building of the Grand Coulee Dam on the Columbia River. In 1943 he joined the merchant marine as part of the war effort. Woody gave credence to the value of using songs for social protest and keen observation. Without Woody there would have been no Dylan, no Lennon. Our lives would not be the same without him, without them. Lange studied photography at Columbia University and traveled west to set up a photography studio in San Francisco in 1916 at the age of 21. She was an innovator who photographed homeless men wondering the streets as the Depression set in in the early 1930s. 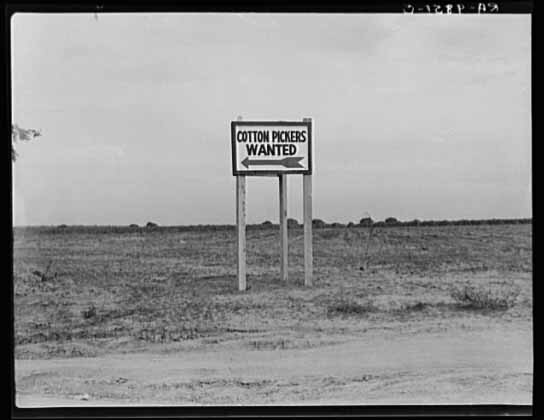 This led to her being hired by the Farm Security Administration to publicize the plight of the poor. Her moving photographs of migrant workers were instrumental in the establishment of the government housing camps such as the one at Weedpatch. 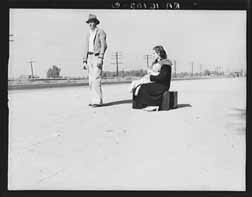 With other photographers such as Ansel Adams and Edward Weston, Dorothea Lange was known for sharply detailed photographs that came to be known as the West Coast style of photography. 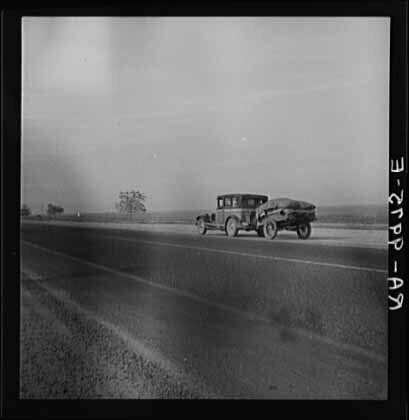 All of these photos are available on the Library of Congress Website Click on the images to see a larger format. “Cause my pastures of plenty must always be free.